Let’s start right at the beginning: Why is a sustainability module required in the first place? Uwe Radke The Uelzena eG has to deal with many international branded companies and almost every one of these companies started years ago to include sustainability aspects in their strategies. In doing so, they follow up the supply chain and also scrutinize their sourcing partners. Next, our customers from the confectionery, baking, delicatessen and hot beverage industries communicated to us that they also wanted to look into the aspect of sustainable milk. This does not sound as though there was a lot of pressure? Radke There has not yet been any pressure from a specific regulation. However, it has appeared on the horizon. One of our European customers has already developed their own views and is telling us what to do. All in all, our customers are sustainably interested in receiving statements on milk production and the production of products. This has been one of the motivating aspects for us, as one of the first dairies to participate in the sustainability module. 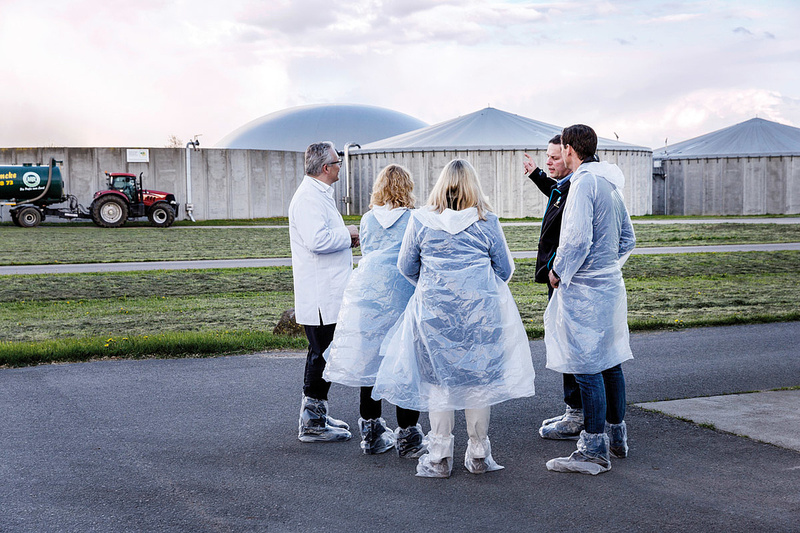 Hiltrud Nieberg Customers and people still have a positive image of milk, but they are also increasingly developing a critical view on how milk is produced. Environmental issues and animal welfare are widely debated in public. 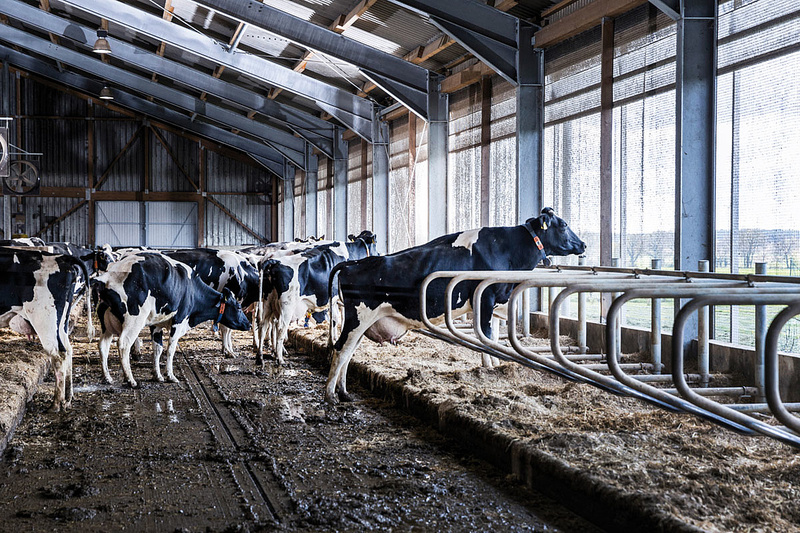 Sustainability has been a topic in the food sector for a long time with internationally operating companies having compiled principles on sustainable milk production years ago. Nowadays, it is simply not an option to neglect this topic. It is important to proactively address this topic and not to be the one that needs to be pushed. Milk producers are of course also included today. Would you prefer to wait until someone requires this on a mandatory basis? Carsten Dahmke No, not at all! One of our customers has already performed an audit at our farm that was based on sustainability. Ultimately, the module is just another data collection system. The work of farmers has been sustainable for decades. Of course, there may be things that would benefit from improvements at one or other of the farms. However, we already have non-GMO milk, we have the Quality Scheme (QM) and other Federal States have different things. Some areas may overlap. But the bottom line is that we want to work sustainably and not to fill in paperwork. Nieberg In my opinion, it was a mistake to wait for so many years in the hope of being spared. This topic could have been addressed much earlier. So should politicians define clear guidelines so that farmers only have to adjust to them once? Michaela Dämmrich Politics could provide respective rules, for example, for animal welfare. However, if they did that, there would be large protests because of different interests. On the one hand, there are the economic interests of the livestock owners who are the starting point in the chain and who want to be able to make a living with their farms. On the other hand, there are the consumers who want to buy products only if the species-specific needs of the animals are met, which in turn makes the products expensive. The livestock owners must be prosperous so that the animals can fare well in the long run. Therefore, an attempt should be made, together with the farmers, to find a sustainable approach. Let’s talk details. The module is based on a questionnaire that comprises various ecological, economical, animal welfare and social criteria. Nieberg Yes, it has 18 pages. When the questionnaire was developed, the scope had been the subject of debate with farmers. Understandably, it is not much fun to answer questions and to fill in lists. But this is a task that companies have to deal with today. Customers want to know in detail how their products are being produced. Transparency creates trust and credibility. The broader the catalogue of criteria and with that the questionnaire, the more practical and precise the different strengths and weaknesses in milk production can be depicted. This is why the approach is so broad. It was important to us to develop the module hand in hand with practitioners and not with the help of people living in an ivory tower. Farmers have always been directly involved. The survey is the starting point for an in-house dialogue on future developments. Frank Pieper When I read the questionnaire for the first time, I was slightly shocked. Nevertheless, it presented no problems for our company. However, if your own documentation is not detailed and correct, then it will take some time to fill in the questionnaire which leads to resentment. On the other hand, this is our daily work. Maybe it would be helpful to have a consultant on board to help. Moreover, training would be helpful, too. How time consuming is it to fill in the questionnaire? Dahmke I reckon it took me two hours, maybe a little more. There were a few issues that only needed a ‘yes’ or ‘no’ answer. But there were also more complicated questions, for example, about details of landscape elements. This took most of my time. However, this is different from one farm to the next. How often should or must milk producers answer the questions? Nieberg This is up to the dairy involved. Some select a frequency of every three years according to the frequency of the QM Scheme, some request a shorter frequency. We will examine this issue in the pilot phase. It also depends on how often the retail trade requires documentation. Radke The pilot phase is three years. We, as a dairy would like to conduct at least two surveys within that time. We will need them to recognize differences and developments. Whether we will then decide on an annual, biennial or triennial survey remains to be seen. You mentioned that despite you keeping proper records, it took a remarkable amount of effort. Was it too much work, particularly when considering the skeptical voices? Dahmke Basically, I think this sustainability program is good because it is so comprehensive. It would be nice if we didn’t have too many other things and that the module could be applied in several Federal States and that retailers would accept it as well. Radke This is the goal that we want to achieve with this dialogue process, which involves different stakeholders. Otherwise, individual customers will come along with their own questionnaires and we will have to establish different data pools. Each dairy has hundreds of independent farmers. When you start applying different sets of criteria, the whole thing can no longer be handled effectively. Does the module provide anything similar to a total result? Nieberg No, we are not awarding total scores. There is no classification of companies into “sustainable” and “not sustainable”. We scrutinize every single criterion. The evaluation is based on a four-point scale: unfavorable, sufficient, good and especially good. On the dairy level, the percentage of farmers operating in the respective evaluation field is determined for each indicator. A benchmarking system is being planned to show each farmer his own score. He can then compare his company with others. Did farmers display an objectionable attitude in the beginning? Pieper I would be lying if I denied this. However, this is understandable. The agricultural sector has always considered all of these things. A farmer can only produce in a sustainable way if he wants to make ends meet. However, we have to face these new requirements. Me and Mr. Dahmke, as members on executive bodies at Uelzena try to explain that to our colleagues. It is getting harder and harder politically and socially, but I am convinced that the key is to find persons of trust to deliver this issue. Nieberg The message is important: sustainability is a compass that shows the direction of desirable developments. And the second message is: nobody is perfect. Everybody has strengths and weaknesses. It is important to identify the weaknesses and improve these, step by step. Of course, it has to be taken into consideration that there are changes that are associated with huge investments and these changes cannot be implemented immediately. Dahmke From my practical experience, I can say that in our company the wellbeing of every single cow has priority. Despite this, we are increasing our milk yield year after year. It fluctuates slightly but the overall trend has been a rise over the past 20 years. The life span of the cows has increased as well. This is a decisive economical point. Dämmrich I am very much in favor of breeding cows more for health rather than performance. 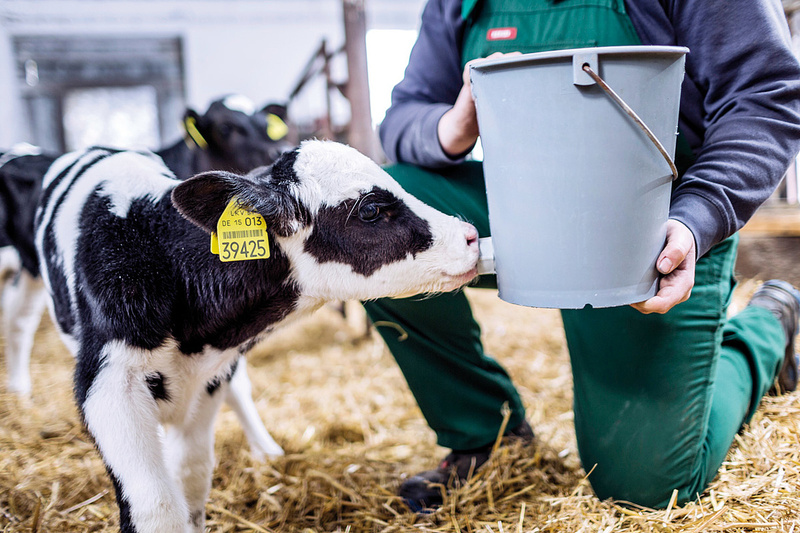 Within the sustainability module, one of the questions is about the milk yield per day of life. The cow and its milk yield have to fit with the company and the management. A cow with a negative energy balance cannot stay healthy and feel well. What would you like to see precisely? Dämmrich I would like to see that milk yield in the sustainability questionnaire is not merely an economical factor but also an animal welfare factor. There are plenty of scientific works on a negative energy balance. Therefore, for me, it would be important to include the body conditioning score in the assessment of the animals. What is the biggest benefit and when does it pay to invest time in gathering the data and to participate in the module? Dahmke It’s the marketing. We have customers who provide us with an added income compared to other countries or the world market. Certainly, these customers have certain requirements, but shouldn’t it be our enticement to market our products in a way that makes customers pay a surplus price? Nieberg It is obvious that someone will be more motivated to fill in the questionnaire when the benefit is higher. However, this often is an indirect benefit. First of all, the sustainability module is necessary for the companies to remain capable of acting on the market. Even though some farmers spent more than two or three hours to fill in the questionnaire while no immediate added value can be identified, participation will pay off in the long run, because sustainability is clearly on the way of becoming a decisive competitive factor. Pieper In 2006, we had our first large investment into animal welfare. We built a large barn and made use of all of the opportunities available at that time. The result: with the same feedstuff and the same manpower, our yields increased. When you fulfill the requests of industry and trade, will you be able to get higher prices for your products? Radke Not directly and not automatically. But it is the same as with product quality. We have customers with high requirements that other suppliers cannot meet. When we achieve this for sustainability as well, then I am convinced that we can do better business with the customers than our competitors and obtain a certain surplus price. We will have to work hard on that. Experiences gained with quality and certifications demonstrate that there are customers who are fond of precisely what we offer and who are ready to pay accordingly. What parts do anonymity of milk companies and data protection play in this project? Radke In my view this is very important for building confidence. Eventually, we intend to collect the data in a way as to make it possible to give them back to the agricultural companies. Alternatively, we have to ensure that the public can draw no conclusions on individual companies. Nieberg We are able to ensure that. We have established detailed rules. Data protection of this module is very elaborate. What will happen at the end of the three year pilot phase? Nieberg Within the three years, we will not only evaluate the data from different dairies but also monitor the international developments in this field and review the practicability and acceptance of the sustainability module. From that we expect to gain tangible information that can be used for the further development of the module. So the module is scheduled to be further developed - what has to be kept in mind in your opinion? Pieper For me, it is important to provide awareness training. One priority has to be to leave nobody behind. In my opinion this is extremely important. However, there must be also an attempt to remove some of the other burdens. Dahmke It would be great if at one time, we could extract some kind of information for the consumer from the data. We have many groups visiting our farm that would be interested in that. Nieberg I think it is important that the farmers continue to participate in the further development of the module in the future as well. I am looking forward to a constructive debate that takes into account scientific requirements as well as the practical feasibility for milk producers and dairies. Dämmrich One important aspect for me is that this module contributes to significantly improved animal welfare. The cow gives us the milk; it is the main actor in the whole process. Radke Indeed, for the next three years the dialogue is very important. We also have to look into how we can grow this industrial initiative into a tool that can be applied throughout Germany. I believe that this will put us ahead of the competition on an international level and thus give us lots of benefits. Thank you all for this exciting discussion. Since 2016, Michaela Dämmrich has been at the head of all animal welfare activities at the Lower Saxonian Ministry of Food, Agriculture and Consumer Protection. Prior to that she was working as an official veterinarian in Lübeck. Since 2007, he has run a dairy farm with 300 milk cows in Neumünster (Schleswig-Holstein). He is the fourth generation on that farm. Since 2016, Carsten Dahmke has been a member of the Board of Directors of Uelzena. The Johann-Heinrich-von-Thünen-Institute in Braunschweig is the Federal Research Institute for Rural Areas, Forestry and Fisheries. Subdivided into 14 specialist institutes, it provides expertise for politics. 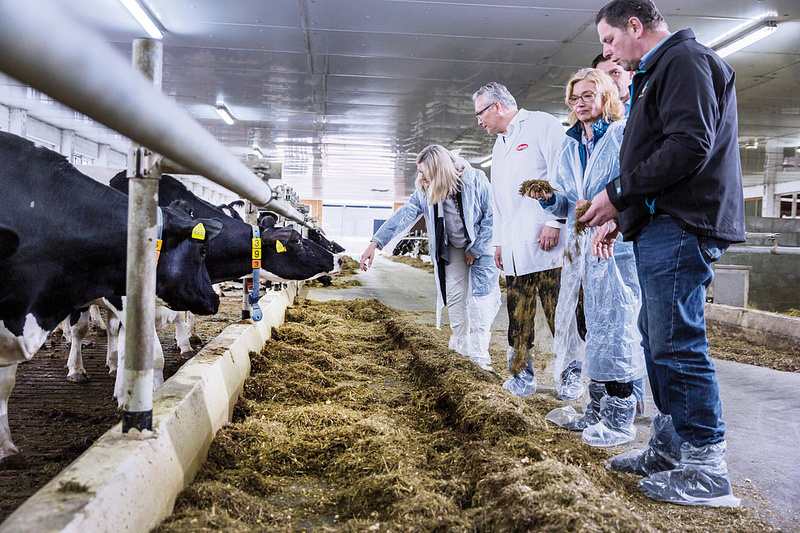 The Institute of Farm Economics, headed by Hiltrud Nieberg since 2010, controls the sustainability module milk. The Agricultural Producer’s Association eG Pretzier is located in the Altmark in Saxony-Anhalt and has 750 milk cows. Frank Pieper has been managing the business since 1990; he is also a member of the Management Board at Uelzena. The expert round table on the sustainability module milk took place by invitation of Uelzena at his farm. Uwe Radke is sustainability officer and is responsible for sustainable corporate management and the respective reporting. In this role he also coordinates dialogue elements with stakeholder groups of Uelzena eG such as the expert round table. Uwe Radke has been with Uelzena eG since 2003.